Chennai Super Kings all-rounder Suresh Raina has been axed and Kedar Jadhav makes a comeback. Indian cricket team selection committee led by MSK Prasad on Saturday announced a 16-member squad for the upcoming Asia Cup 2018 to be played in Mumbai. Captain Virat Kohli has been rested from the upcoming tournament and in his absence vice-captain Rohit Sharma has been named the skipper. Senior Indian opener Shikhar Dhawan has been named the vice-captain if the team. SunRisers Hyderabad bowler Khaleel Ahmed is the only new face in the squad. Chennai Super Kings all-rounder Suresh Raina has been axed and Kedar Jadhav makes a comeback after recovering from a hamstring injury sustained during the Indian Premier League. Ambati Rayudu, who was earlier dropped from India’s UK tour for failing in Yo-Yo test, has also found a place in the team. In the Asia Cup opener, Bangladesh and Sri Lanka will face each other on September 15. The final of the Asia cup 2018 will be played on September 28. Defending champions India will take on arch-rival Pakistan on September 19, just a day after they play their first match of the tournament. India will start their campaign against a qualifier in Dubai. UAE, Singapore, Oman, Nepal, Malaysia and Hong Kong will compete with each other for the qualifier spot in the tournament. Indian are placed in Group A along with Pakistan and the team that will qualify. While Group B consists of Sri Lanka, Bangladesh and Afghanistan. The top two teams from each group will qualify for the next stage. 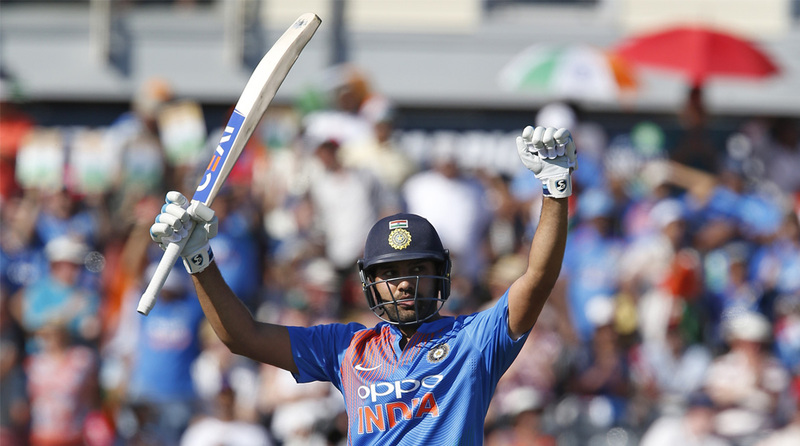 India squad for Asia Cup: Rohit Sharma(C), Shikhar Dhawan (VC), KL Rahul, AT Rayudu, Manish Pandey, Kedar Jadhav, MS Dhoni, Dinesh Kartik, Kuldeep Yadav, Hardik Pandya, Y Chahal, Axar Patel, Bhuvneshwar Kumar, Jasprit Bumrah, Shardul Thakur and Khaleel Ahmed.